Bandung is a well-known place in Indonesia and to travelers in Java especially. There are many things to do in Bandung and it is not short of attractions to see. Many locals will recommend going there for shopping, food and cool respite. 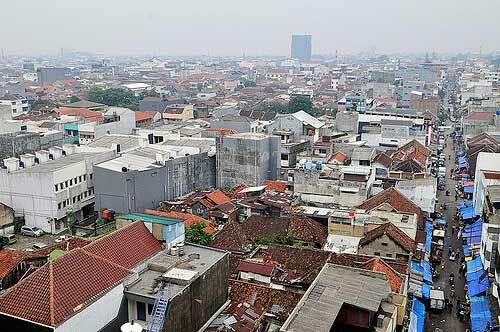 It is a popular weekend destination for those who want to escape the hustle and bustle of Jakarta. Many travelers would say they have their best Indonesian experience here. Here the food is cheap and delicious, the things are cheap and in a huge variety and important Indonesian attractions are nearby. 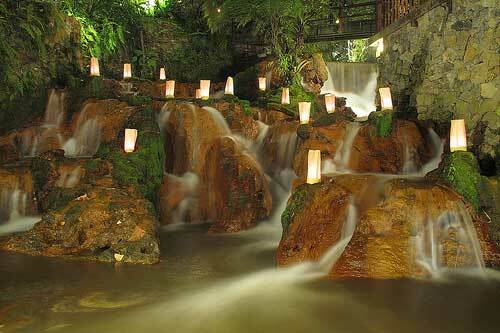 Therefore, it is no surprise that the whole place evolved around tourism industry so come here and have fun. I am not exaggerating here, nobody goes back from Bandung empty handed. Especially if you go to the factory outlets at Jl Riau or Jl Dago, you will find all the hidden gems of quality clothes, shoes, bags and all else in various famous brands. All the items you find here are in good condition, brand new but in half the price! If you are looking for another option to dine and something special to do in Bandung, you can choose to go to The Valley for dinner. This Western restaurant is located at a hilltop with amazing sunset view. The food is good too, so enjoy your meal while watching the sunset over Bandung city. One of the Bandung’s best restaurant, many tourists come here for the relaxing ambiance with bamboo huts, streams, and waterfall. Food is not especially delicious but it is extensive and inexpensive. Come here for the overall experience of enjoying Indonesian cuisine in a comfortable and serene outdoor setting. 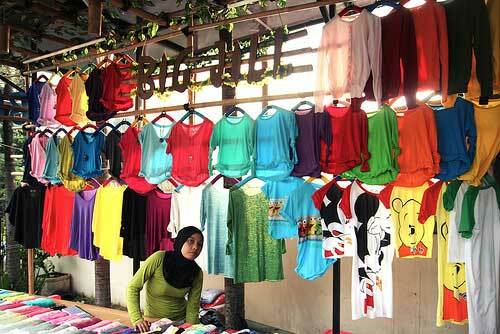 This epitome of Indonesian market in Bandung, you can get lost here and find all sorts of things that delight you. Travelers come here to source for fabrics and souvenirs. Prices here are unbelievable too especially if you have special bargaining skills. Though do take care of your belongings as this place is really crowded. 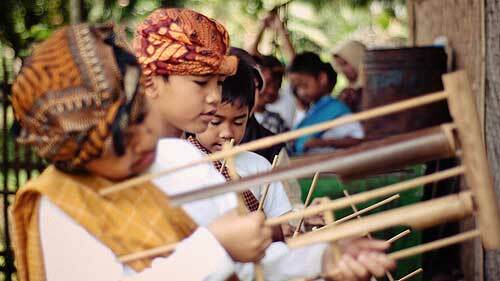 This traditional musical performance is one of the best way to explore Indonesian culture. It is a 2 hour show of several parts including puppet show, mask dance, Angklung performance and dances with little kids. Watch the performance and maybe also participate in an Angklung workshop, they are bound to delight. How can one come to Asia and not be awed by towering rice terraces. 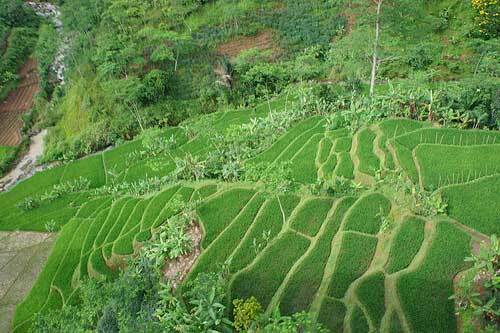 Unknown to many, Bandung actually do have rolling rice fields and some rice terraces in the highlands. Bribe a local to tell you the location is and head there for a soul refreshing time. There’s one apparently in Ciwidey! Definitely in the top of the list of attractions for its stunningly beautiful lake as if set out of a movie. 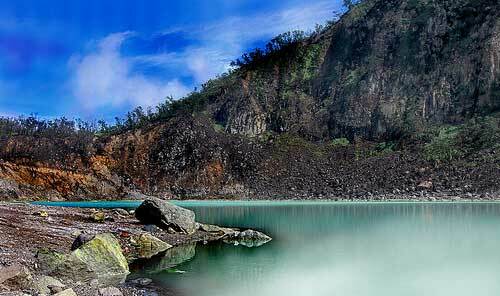 It is 2 hours away from Bandung city center and in the highland but it is worth to do. The place is cooling but beware of sunburn as it is still really sunny here without feeling it. This is a sulphuric lake as it comes from a volcano.The entire area can be explored in 30 minutes. 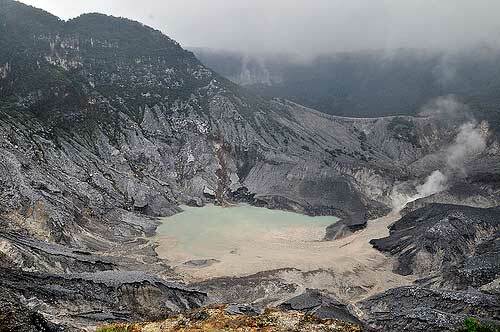 Many people come here either by car hire or through a Kawah Putih, Bandung Tour. About 1.5 hours from Bandung, it is yet another crater from a volcano in Indonesia that is worth the visit for the sheer awe of the view from the top. This may be second best to Kawah Putih but still worth to visit. Built and used by the Dutch companies, it is popular for its satay food decoration. It has 6 ornaments symbolizing 6 million guldens. 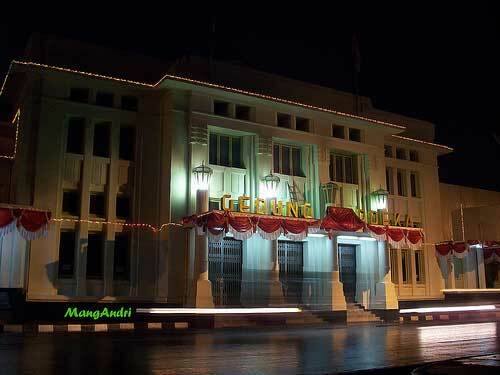 Now it is used as the office for West Java governor. Luckily, the place is open to the public and don’t forget to have a good chill and drink at the top floor while overlooking the city. Another architectural wonder built for the rich previously and then made famous for hosting the first Asian-African conference. Though not much of an attraction but worth to take a look if you are nearby. There you have it, the best of what Bandung has to offer in terms of things to do and attractions to see. You will be amazed how you can enjoy yourself so much without actually really spending a lot, especially good for budget travelers who are backpacking in Indonesia, though carrying a lot of things after the shopping is another story altogether!